The certainty that the ideals of "life, liberty, and the pursuit of happiness" can become reality for anyone willing to work for them is what we call the American dream. For many, the dream does come true. For many it does not. Lorraine Hansberry knew about disappointment, false hope, and despair. For many of her African-American ancestors who had come North for a better life only to find exploitation and frustration, the dream had become a nightmare. In contemporary terms, she chronicles their nightmare in A Raisin in the Sun, an epic story of the Younger family struggling to realize the dream by escaping ghetto life. Hansberry's screenplay not only tells the story of the Youngers but reveals the plight of all who have failed dreams. Her cosmic vision gives Raisin its power. For high school juniors who often study U.S. history concurrently with American literature, this previously unpublished version of the screenplay allows students to read an engrossing American play, while they experience a culture that either mirrors their own lives or provides a window into a world of people who are more similar to them than they are different from them. Raisin is an excellent choice for literature, drama, history, and film classes. There is plenty of action, salty dialogue, and a cast of dynamic characters to captivate even the most "video-ed out" teenager. Rebellion against parents and frustration with a lifestyle that brings little gratification are conditions most young people endure. However, beneath the cynical veneer of the adolescent beats the heart of an idealist who wants to believe in dreams that do come true. Through Hansberry's careful craftsmanship, the universal themes of the importance of dreams and the frustration of dreams deferred, the strength of family, the importance of not selling out, the problems of conflicting expectations, the belief that love and trust will win over deceit and selfishness, and the dangers of prejudice and stereotyping are as powerful today as they were nearly four decades ago when she wrote the play. Today's students, often from fractured families, need as much exposure as possible to values taught within a traditional family unit, and Raisin delivers without preaching. Another reason for using Raisin is its historical value. The play is a provocative reflection of racial attitudes of the 1950s and of today. Prejudice assumes many forms, and Hansberry's characters and the screenplay's visuals bring this theme to life in a way no textbook could. 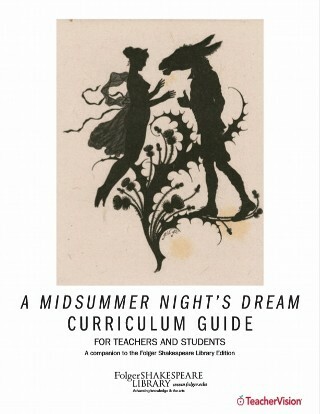 This teacher's guide contains an annotated list of characters, a brief synopsis of the screenplay, and teaching suggestions to be used before, during, and after reading the play. There are activities, discussion questions, and topics for writing assignments. All suggestions are applicable for students of average academic ability. Those recommended for the advanced student are denoted with an asterisk (*). The screenplay is presented as a continuous unit of action rather than divided into dramatic acts. Punctuated only by Hansberry's clear instructions for camera shots and angles and her precise notes for the actors, it reads with the sweeping motion of a film. The camera is in many ways the film's most important voice. Through Hansberry's camera instructions, readers learn more about her characters than from their words alone. The opening scene, Hansberry tells us, is a pan shot of Chicago's South Side during the 1950s (although it could as well be the 1990s). Exterior and interior images show that we are in a ghetto, and this is how people live here. More importantly, this is a ghetto of African-Americans who have few choices in a white society. Over the panning shots is superimposed Langston Hughes' poem "Dream Deferred," providing the inspiration for the title: "What happens to a dream deferred? Does it dry up like a raisin in the sun?" The next series of shots introduces the family whose dreams provide the basis for the play. Lena Younger, the family matriarch, is expecting a $10,000 life insurance check from the estate of her late husband, Walter Lee. With it, she is planning to retire from her maid's job for a white family. Her son, Walter Lee, Junior, wants to use the money to buy a liquor store. His wife, Ruth, also a domestic in a white household, hopes to move to a larger apartment. Beneatha, Lena's daughter, dreams of going to medical school. When the check arrives, the tensions within the family build. Walter Lee feels he is entitled to it as the rightful head of the family. Ruth and Beneatha counter that it is Lena's money, and she should decide how it is to be spent. Because Lena realizes that the family's survival depends on their escape from the apartment, she makes a down payment on a "nice house" in Clybourne Park, an all-white residential neighborhood, without consulting anyone. The family's reactions range from Walter Lee's disbelief and disappointment, to Ruth's joy. The plans for the move exacerbate the tensions. Feeling his manhood threatened by his mother's authority, Walter escapes to bars. When he does not return home for several days, Lena finally acknowledges his desperate need and finds him in his favorite lounge. Opening her purse, she entrusts him with the rest of the money, part of which is to be used for Beneatha's tuition, the rest for his liquor store. The residents of all-white Clybourne Park have learned of their new neighbors and send an emissary to meet with the Youngers to explain the "rules." Mr. Lindner, the representative, carefully disguises his racist attitudes beneath neutral terms ("not rich and fancy people; just hardworking, honest people who don't really have much but those little homes and a dream of the kind of community they want to raise their children in" 164). Beneatha immediately realizes he is proposing to buy them out ("Thirty pieces and not a coin less," 165). He makes the Youngers a generous offer that Walter Lee refuses. His family has a right to a new life, and they will move to Clybourne Park. The tension reaches a climax on moving day, when Walter Lee receives the worst possible news: Lena's money never made it to the bank. He had given it to Willy Harris, a "trusted" business partner. However, Willy took the money and ran, leaving no forwarding address. Overwhelmed, the family members react in different ways. Beneatha is furious and totally repudiates her relationship with Walter. Lena starts to unpack, saying they can no longer move. Ruth refuses to give, in believing that with hard work they can make the house payments. In a desperate act to set matters right, Walter Lee sends for Mr. Lindner, whose offer could replace the money he has given away. No one supports his decision, feeling contempt for his willingness to sell their dreams so cheaply. In the final scenes, Walter Lee has an epiphany, recognizing not only who he is, but, his place within his family and race. As he starts to tell Mr. Lindner they will accept the offer, he hears what he is about to say and, instead, refuses it. The moving men are told to continue, and the family departs for what everyone hopes will be a new and better life. Lorraine Hansberry was born in Chicago on May 19, 1930, and died of cancer at the age of 34. A Raisin in the Sun, her first play, was also the first Broadway production written by an African-American woman and the first by an African-American to win the New York Drama Critics Circle Award (1959). It was subsequently made into a film (1961), for which this screenplay was written by Hansberry but only partially used by David Susskind, the film's director and producer, a musical (1973), and a PBS television production for American Playhouse (1989). Although deeply committed to the African-American human rights struggle, Hansberry was not a militant writer. Her only other completed play is The Sign in Sidney Brustein's Window (1964). Another drama, Les Blancs (1970) was adapted after her death by her husband and Broadway producer Robert Nemiroff. He also compiled her writings in To be Young, Gifted and Black: Lorraine Hansberry in Her Own Words (1969), also presented as an off-Broadway drama in 1969.